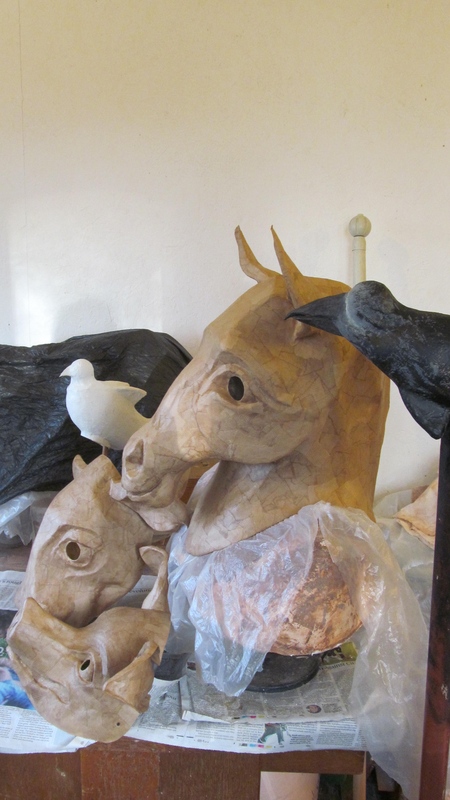 Five Pieces, Horse, Cow, Ping masks plus Crow and Dove. 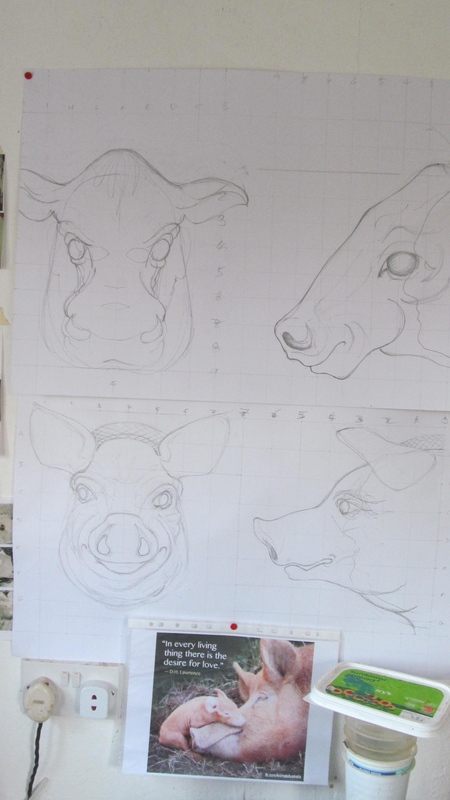 For the Calke Abbey Stables project. 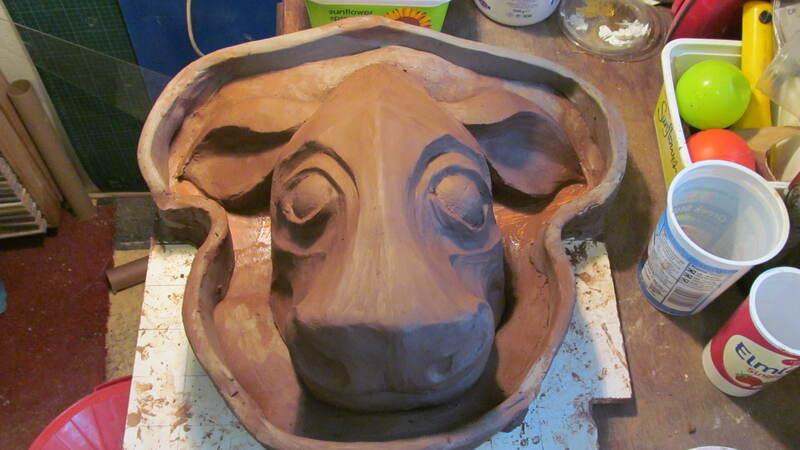 All made and awaiting final painting. 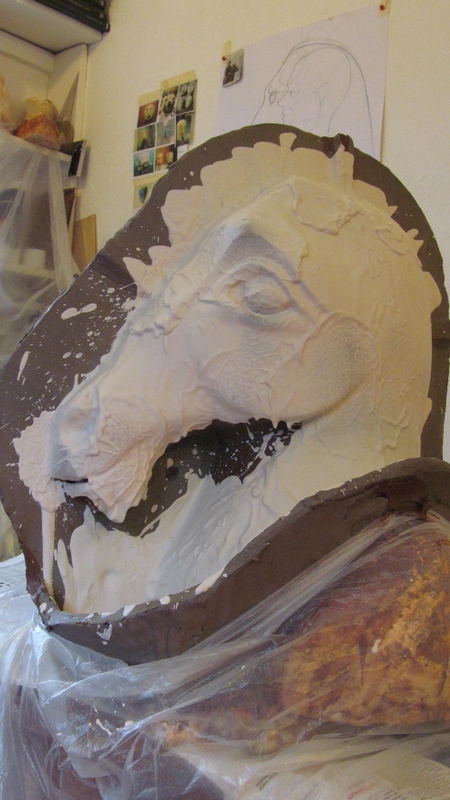 Today the horse Head has been encased in plaster to create a two piece mould. 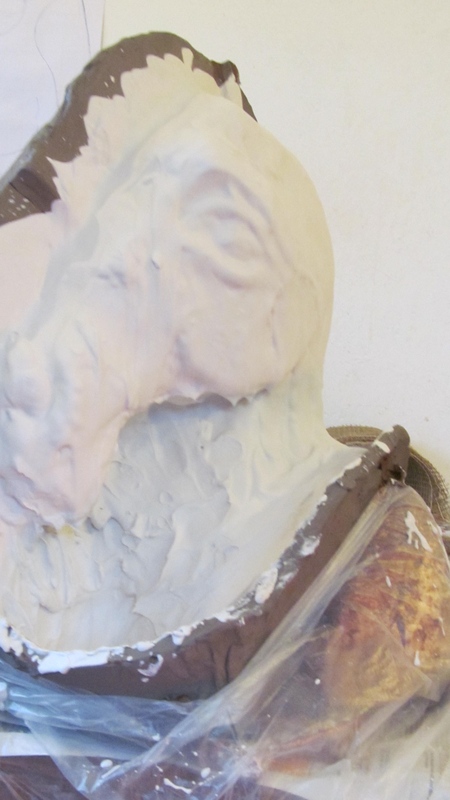 I cut the ears off and made a separate mould just for them. 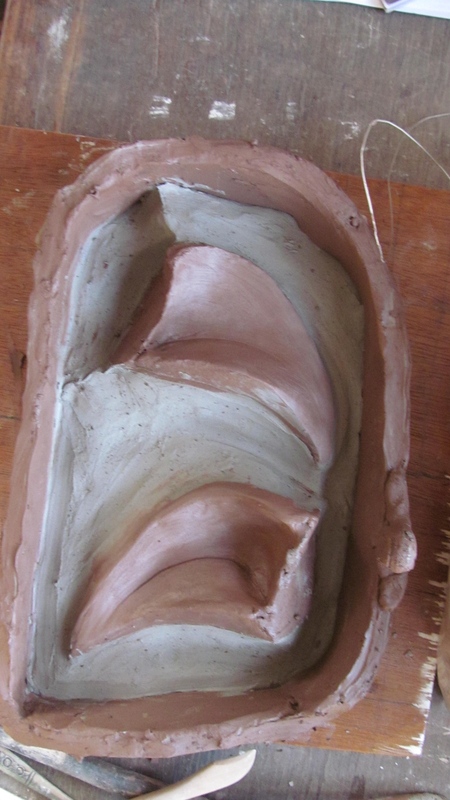 Next anxious moment will be tomorrow as I gently prize the two parts of the mould apart without breakage. 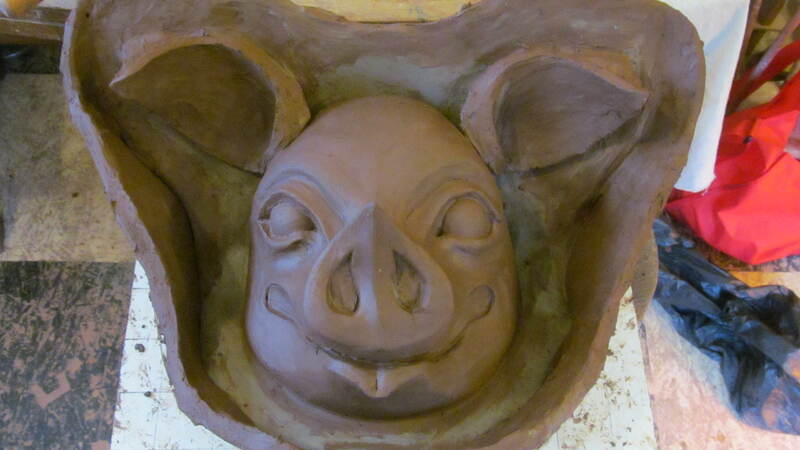 Thus releasing the clay design and the head beneath. Quite a hefty one this, will be glad when it is apart. 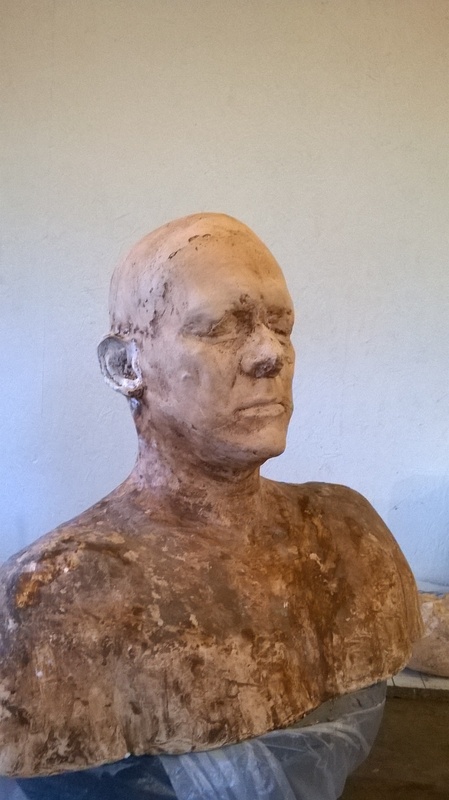 The removal of the clay and the plaster head will lighten the load considerably. 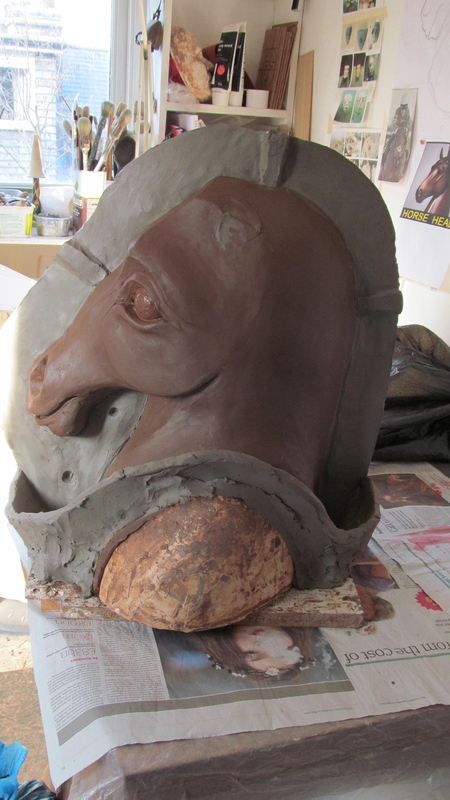 Horse Head now all cottled-up ready for casting in plaster to make a two part mould. 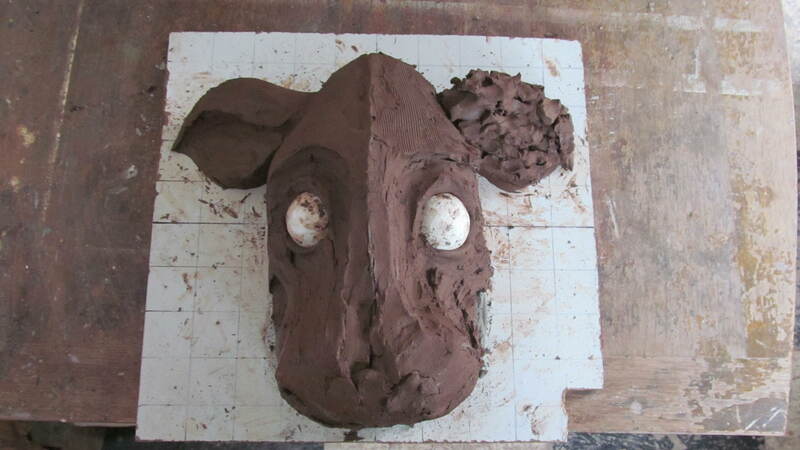 The ears have been cut off and I shall be making a separate mould to cast them. 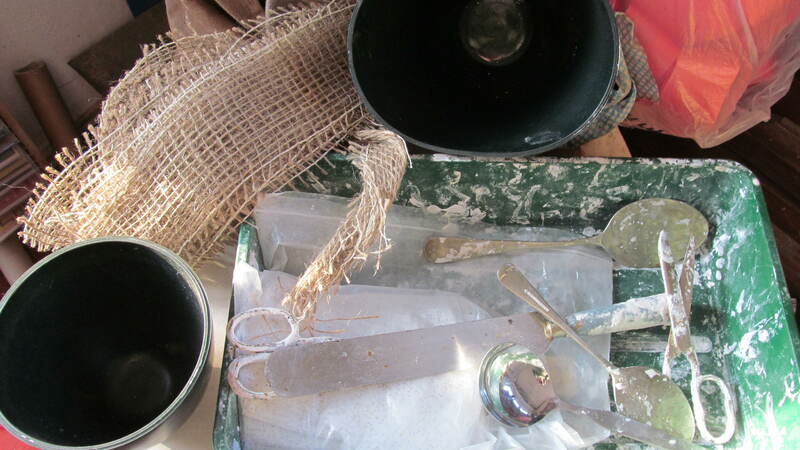 Plastercasting as a special process, magical, to mix a liquid which turns into a hard material. Always makes me slightly anxious so I always try to approach it in a slow measured and undistracted manner. 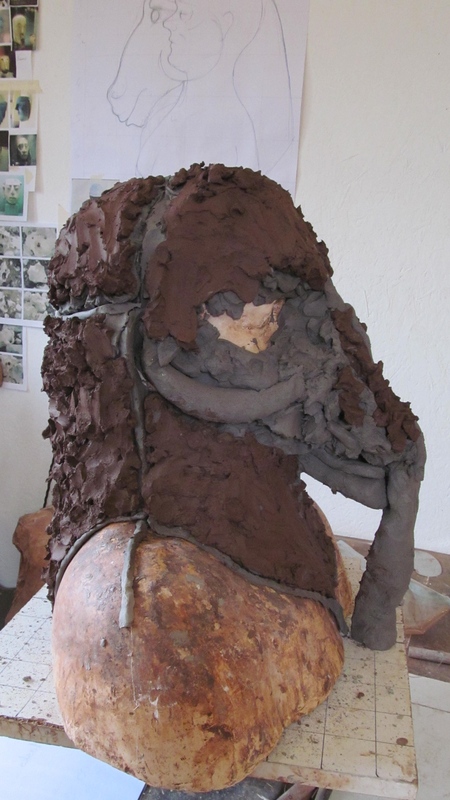 The grey clay to give me guidelines, structure and temporary support under the muzzle, then the red clay to build the animal. 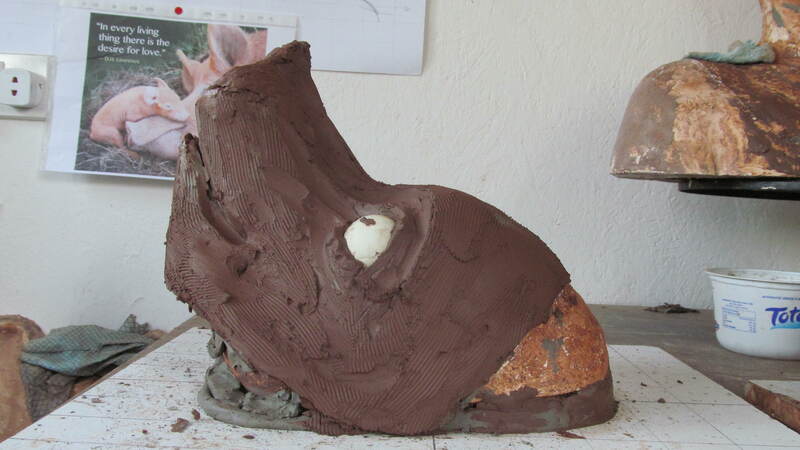 I aim to get a sense of the skeletal structure first after which I search for the animal and the final stage will be to find the character of the creature. 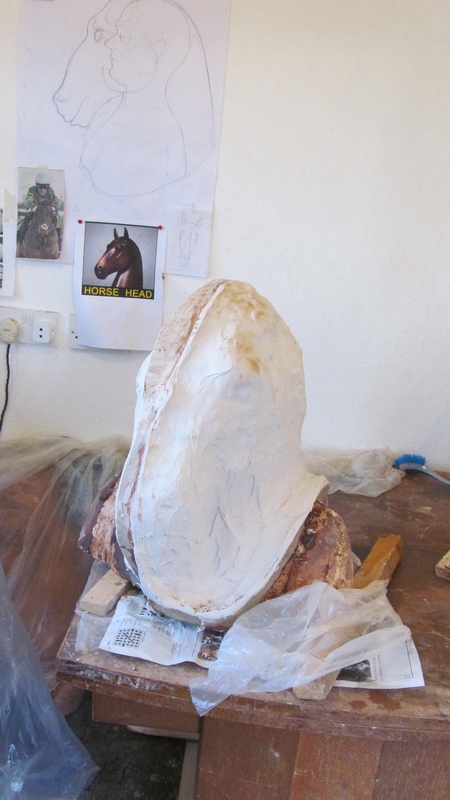 The ears I shall add at the end which may be separate leather ears, likewise, I may make the mane in a similar fashion. Not decided as yet. 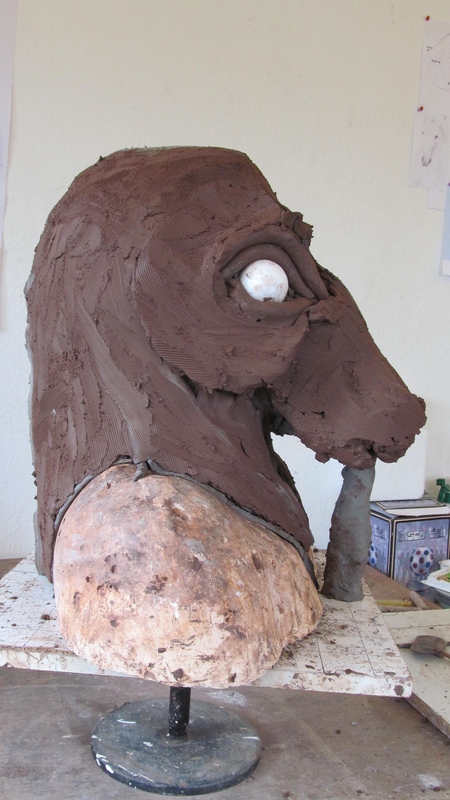 The neck has to be thick to fit over the human head but it looks far thicker, at present, than a horse would be, another conundrum to resolve.